“For the inspiration for a lot of the characters in this film, we looked to music, really,” said Dillon. “For Lando, we were looking at, like, Jimi Hendrix—just trying to imagine what these characters would be like when they were younger. James Brown and Marvin Gaye. It was a wealth of inspiration, really. We looked [to] The Clash for the young Han Solo: cut-off sleeves and biker boots. It’s trying to use inspiration that might even have been used at the time [of the Original Trilogy] by the designers. So that it would have felt of that time, as a part of that universe. You want it to feel like Ralph McQuarrie and [A New Hope and The Empire Strikes Back costume designer] John Mollo, and what those original guys would do, but updating it enough so that it’s still got something new. As for Lando’s collection of capes Dillon said it was designed to fit with Lando’s capes in The Empire Strikes Back, “That’s Lando when he’s a working man [in charge of] Bespin. For us, we’re trying to get the youthful version of Lando, before he’s made it in the world. He’s trying to make his way. 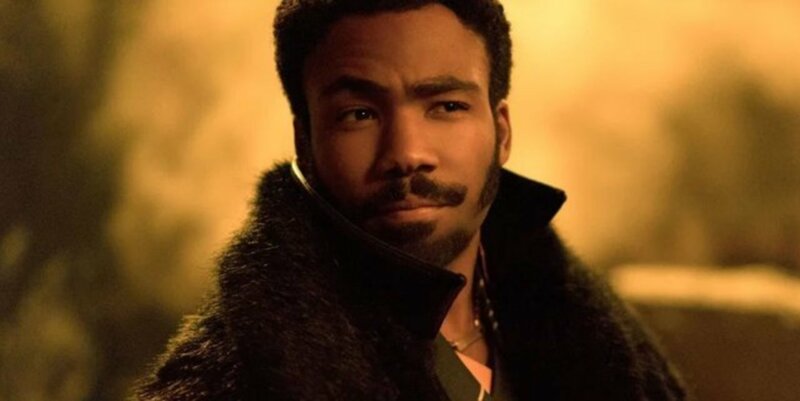 Everything goes into his clothing and the way he looks, to project that image.” That was no understatement with the total of Lando’s capes in Solo estimated as about 35. "Costume-Making is Dying. We Can't Get the Skills."